Computers are an expensive, albeit necessary, piece of hardware when you’re setting up your company. If you’re choosing a Mac over a PC, the expense will be even bigger. But it can be worth it to use a Mac for business, especially if you’re running a creative business (e.g. design, photography, film, music, etc.) that requires you to utilize special software developed for Macs. Software that runs on Windows often won’t work on Mac, and vice versa. Thus, the first step in selecting a computer is to take a look at the software you need for your business and choose an operating system that will run it. 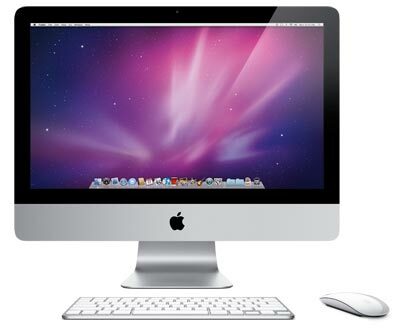 At ChooseWhat.com, our development team uses iMacs for work. While the decision was based mostly around what the team was already familiar with, software was a major consideration. The development department found that their familiarity with Mac saved them from having to learn how to do their daily tasks in an unfamiliar environment (Windows-based PC). If your computer needs to be taken with you, then you will certainly want a laptop like a MacBook Air or MacBook Pro. However, if it’s going to stay at the office, you might want to look at something more stationery like an iMac or Mac Pro. If you decide that you want to purchase a laptop, I highly recommend deciding on a screen size immediately. 13-inch screens are highly portable and easy to travel with, but the small screen can be a pain to read. 15-inch laptops are a very common choice, since they remain portable and readable. 17-inch laptops are mainly focused on high performance–they’re heavy and big, but powerful. When selecting a computer, you will certainly be confronted with a lot of numbers and random letters. Usually, higher numbers are better, right? Well, yeah–usually–but that’s no excuse for not knowing what they mean. There are three big components to a working computer: processor, RAM, and hard drive. Processors generally use MHz or GHz and dual-core, quad-core, etc. The MHz number corresponds to the speed of the processors. The dual-core/quad-core information refers to the number of processors in the computer. RAM is like short-term memory for your computer. The amount of memory is measured in Bytes. MB stands for Megabytes, GB stands for Gigabytes, and TB stands for Terabytes. Hard drives are like long-term memory for the computer. Again, the amount of memory is measured in Bytes. Hard drives will also have an RPM number associated with them. A traditional hard drive actually has a spinning metal disc that stores the data, so the faster that disc can spin, the faster you can find your information. The trick is to find the right balance of these three major components that will both meet your budget and scale with your business. Processing power is the most valuable part of the equation, so this is where you will want to spend a little extra. Processors are also very difficult to upgrade, so choosing the best you can afford is a good idea. RAM is usually my second consideration. You may want to consider upgrading your RAM, since it can really speed up your computer. However, RAM is usually very easy to install yourself and won’t void your warranty, so I usually don’t go for the maximum right away. Finally, you will want to consider the size of your hard drive. Hard drives are pretty inexpensive and only moderately difficult to install. The basic hard drive has almost always been large enough for me, but if you plan on storing a lot of movies, pictures, and music on your computer, you should upgrade. Great–you’ve found the computer you want and spent the time to make sure that it meets your budget and your needs in the coming years. Now it’s time to wade through the 1,500 accessories and software packages. Most are unnecessary or cheaper somewhere else, but there are a few things I recommend adding to your order. Extended Warranties will save you a lot of headache if you plan on keeping your computer around for more than a couple of years. Parts on a computer will break before the computer becomes obsolete and you will want a professional to replace the parts. Printers: Usually, there is some kind of deal on printers when you purchase your computer. If you can get the printer for free, go for it. But before you pay for a printer, check out our How To: Select An All-In-One Printer. Selecting the right computer for your business is not all that difficult. It’s mostly a balancing act of what you need, what you will need, and what you can afford. In the early stages of a business, we recommend you choose an OS that can run your needed programs and one that you are familiar with. After that, find a computer that has the best performance for your budget.